Have you ever looked at your child and wondered how they managed to get so big so fast? Those first few years really do fly by – and one dad’s taken a photo every day for four years to prove it. 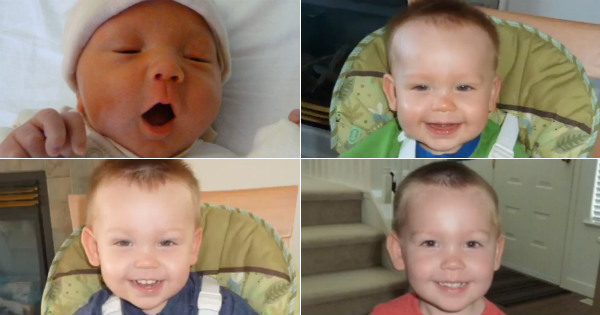 YouTube user Dumo posted a time-lapse video to the site recently, showing more than 1400 photos of his son, Ray, on consecutive days since birth. Check out the video below and let us know what you think. How do you record your child’s growth and early years?